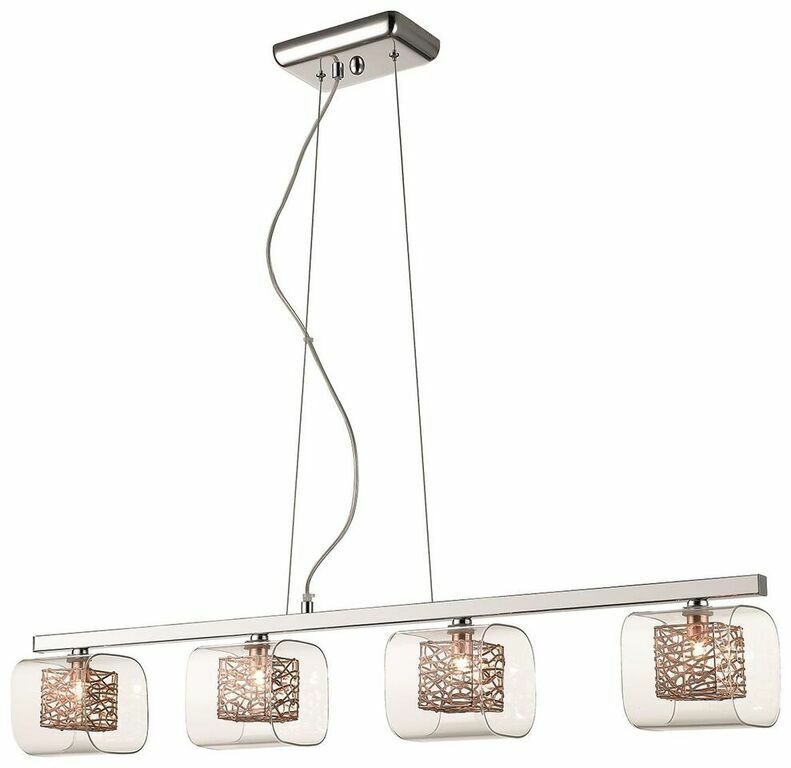 The Anne 4 Light Linear Island Ceiling Light Pendant has a Chrome finish frame with cubed clear glass shades surrounding an inner Copper finish mesh. The Anne 4 Light Linear Ceiling Light Pendant Has A Chrome Finish Frame With Cubed Clear Glass Shades Surrounding An Inner Copper Finish Mesh. The Anne 4 Light Ceiling Light Pendant Is Class II, Double Insulated, Meaning No Earth Connection Is Required.